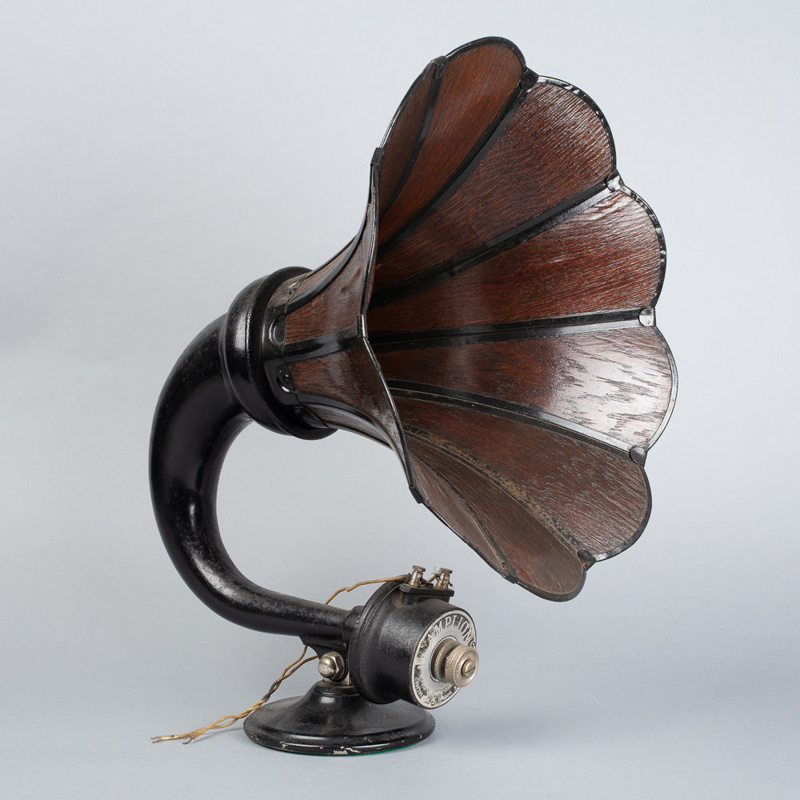 This 'Amplion' speaker was made by a company called Alfred Graham & Co of London and was designed as a radio amplifier for the domestic market in the 1920's. It was marketed not only as a piece of technical equipment but as a 'fine piece of furniture'. 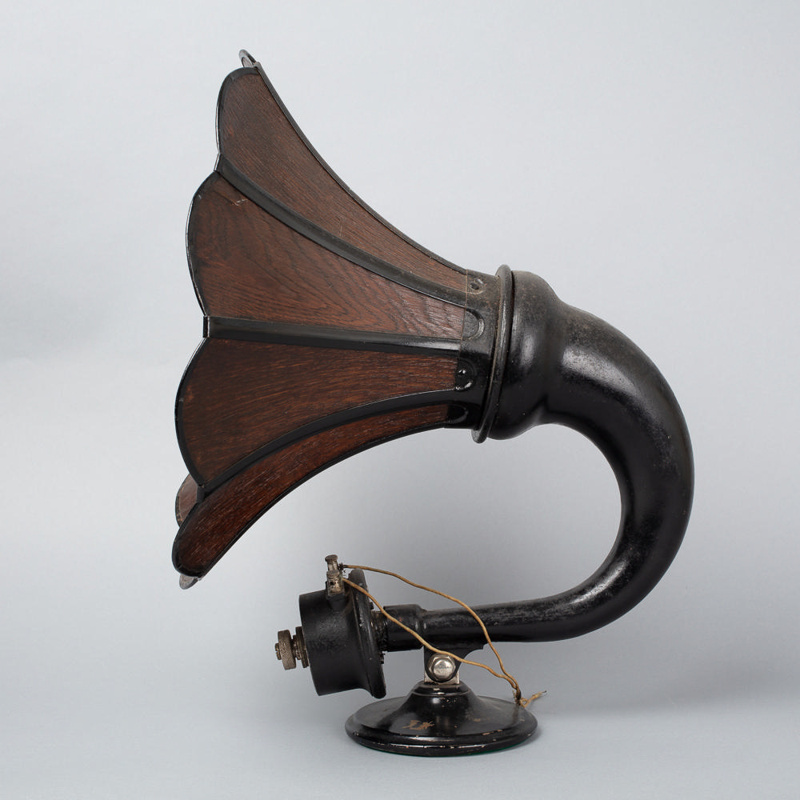 This is one from a wide range of speakers that they produced and was based on their knowledge and expertise of acoustics in telephones and marine public address systems. They provided communication systems for the British Admiralty and all the leading shipping lines and liners including the Titanic.